BLACK MIX Lesotho is an international brand, marketing digital, consultancy and implementation creative agency that embraces the now and new to solve business challenges through innovation, communication and strategy. Brand is central to design at Black Mix Lesotho. Building brand equity and business value through innovative project management and implementation, with meaningful and attractive design is our goal. BLACK-MIX Communications was founded in 2009 in South Africa with supreme success and a world of imagination. As an integrated marketing, communications and consultancy business, we fully understand the diversity of communications in any environment. We act as your guide as we take your business into new breathtaking territories. Design capability includes image and copy solutions to corporate, brand, product, digital, above-the-line and below-the-line applications. 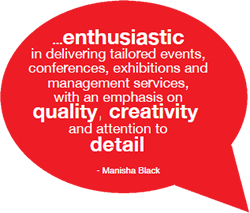 Manisha Black has extensive executive level experience where she has managed large organisations at executive or board level for over 15 years. These industries include media, online transaction, strategy consulting, brand & marketing, investments, banking and property businesses. She is a performance-driven, insightful Business owner with a proven ability to achieve and exceed all business development and revenue-generation goals in high-pressure environments. She started her first business at the age of 23 years old. Now she is the Founder and Director of several businesses in Africa. She has gained invaluable experience encompassing various aspects of service delivery, development and maintenance to a broad spectrum of clients within several industries. This experience coupled with driving passion to succeed enables her to apply effective sales ability, operational know-how and director skills to benefit of the organisation. Her extensive experience in the marketing & advertising industry along with my entrepreneurial flair out of 600 nominated small businesses enabled her to be a finalist for the 702 SMALL BUSINESS AWARDS with only 9 months of trading. She has worked with many of the world’s leading companies on their brand strategy, as well as start-ups and ambitious businesses in just about every sector. Ntsane holds a B Design (Hons) in Professional Design degree, majoring in advertising and taking minor as Marketing, together with his experience, his interest of working with modern technology and working with a group of dynamic people. He specialized in the Eskom Corporate Identity Training while he was in South Africa which made him more vigilant when dealing with any company corporate identity. With 5+ years experience working as a graphic designer, he has worked with a variety of communication agencies and publishing company both in South Africa and Lesotho, designing and producing quality print and digital design solutions. Offering unique solutions for each client is a major strength, with effective visual design driving brand recognition and customer response. Tong has completed two years of graphic and interior design at Inscape design collage. He has two years I. T. experience. With 5+ years experience working as a production management, three years hardware management, and four years auto workshop management of which one year was his own business and was closed due to high rent fees. © 2019 Black-Mix Lesotho. All Rights Reserved.